Autopilot is good to run complicated journeys with the help of the visual journey builder and can be used very well. It is easy to onboard new users to the platform as well for different campaigns. The segments help build specific lists for different campaigns too. Intuitive: Anyone can use this product. 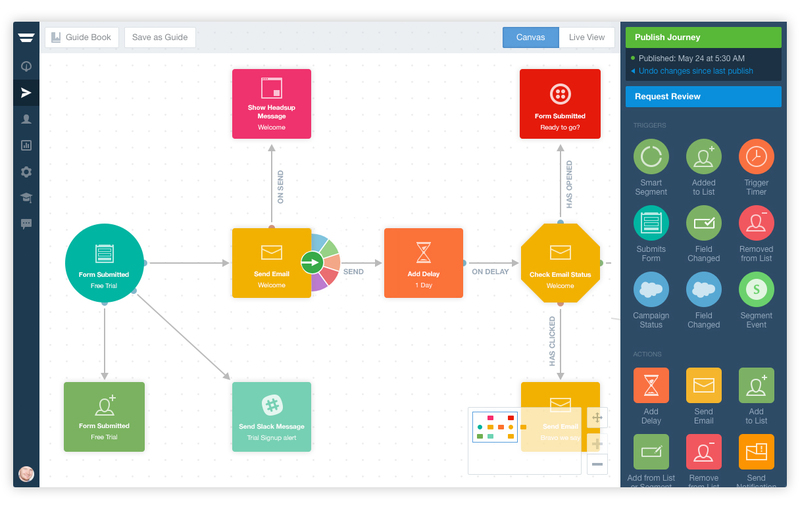 I've used similar (more expensive) products where making workflows felt like rocket science. Autopilot enables a team with any level of knowledge to make a cohesive marketing funnel. Feature-Rich: For the price point, Autopilot is STACKED with features. It has hundreds of integrations, chat functionality, email marketing, forms, etc. Inexpensive: Autopilot offers a 30 day free trial, and their entry package is solely based on number of contacts, so it's incredibly affordable for new and scaling teams. Limited Design Customization: If you're an experienced marketer and are used to the unlimited customization capabilities of larger platforms (or coding your own templates), you might find Autopilot's options to be limiting. It's great for a beginner user who shouldn't be encumbered with those options, but I could see if being frustrating for others. Using Autopilot enabled us to keep our marketing budget very lean for a long time as we scaled. This was incredibly helpful during a time when we needed to manage cash flow, but also were focused on growing as quickly as possible. Autopilot helped us build our first gated content workflows, which created significantly more leads for our sales team. Autopilot's design features elevated our marketing to look "bigger than we were" for a period of time. Launch marketing campaigns (what we call "Journeys") in minutes using our intuitive drag and drop canvas.